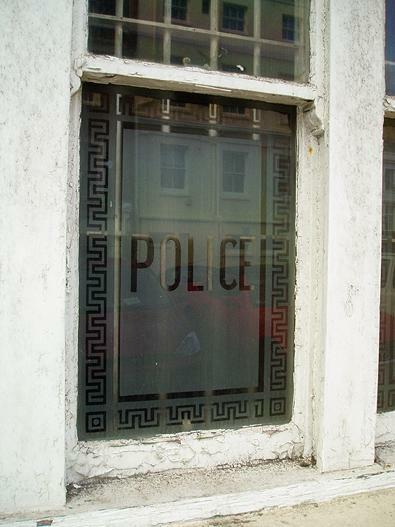 Why is ‘POLICE’ emblazoned across the frosted windows by the Bartholomews entrance of Brighton Town Hall? But, it wasn’t until I was shown around the building’s dusty basement, when it was still full of old files and before it became the slick museum that it is today, that I discovered the reason. The foundation stone of Brighton Town Hall was laid in 1830 by Thomas Read Kemp. It was designed by Thomas Cooper as the headquarters of the Brighton Town Commissioners. Cooper was also responsible for the original beautiful Bedford Hotel, one of Brighton’s greatest ever buildings, which was replaced with an ugly tower during the 1960s that is today the Holiday Inn. The Town Hall is classically proportioned with many great features including giant Ionic columns and grand staircases. 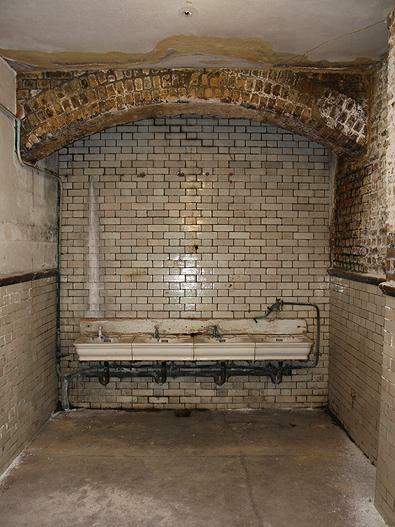 Its architectural importance was recognised in 1971 when it received Grade II Listed status. Brighton Borough Police was formed in 1838 and moved straight into the basement of Brighton Town Hall. From 1897-9, their premises were enlarged as part of a large interior reconstruction. In 1907, a bicycle was purchased! Today, Brighton & Hove City Council meets in the Town Hall. Brighton Police, however, moved into larger premises on John Street in 1965. The Sussex Constabulary was formed in 1968 when the Police Forces of Brighton, East Sussex, West Sussex, Eastbourne and Hastings were amalgamated. Customarily, each Mayor of Brighton & Hove takes on a single project during their year as head of the Council. When Cllr Pat Drake was Mayor two years ago, she lovingly saw to it, with the help of former officers John Dibley, David Rowland and Norman Cooper, that the old station was transformed into a museum. From the graffiti in the cells by mods and rockers to the many examples of old uniforms, the museum is full of many great exhibits. Since opening to the public, it has been a hit but is to get better still having just received £10,000 from the Lottery. Visit Brighton Town Hall or telephone 01273 290000 for more information on tours. The best bit of the tour is the story of the murder of Brighton’s first Chief Constable, Henry Solomon, in 1844. Solomon was killed in the Town Hall by a carpet thief, John Lawrence, whom he was interviewing. Lawrence grabbed a poker from a fireplace, which is still there, and smashed Solomon’s skull. Lawrence was hung soon after.